Michelman is proud to announce that Mr. John Jacquin, the company’s Technical Service & Application Development Manager, has received the Division Leadership & Service Award from the TAPPI NET Division sponsored by Dow Chemical. Michelman is proud to announce that Mr. John Jacquin, the company’s Technical Service & Application Development Manager, has received the Division Leadership & Service Award from the TAPPI NET Division sponsored by Dow Chemical. Mr. Jacquin was presented with the award at the 2018 PaperCon Conference Awards Breakfast held April 16th during TAPPI’s PaperCon 2018 event being held in Charlotte, North Carolina. 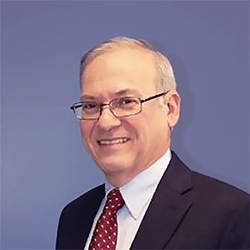 Jacquin has been with Michelman since 2015 and has over 35 years of experience providing technical expertise for binder resin, crosslinker, and additive & polymer chemistry for industrial applications. He has a BS ChE in Chemical Engineering from Rutgers and an MS in Computer Science / Information Management from Rensselaer Polytechnic Institute.